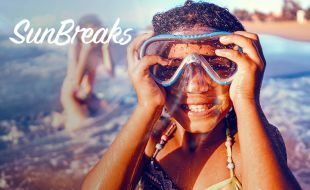 It’s been a mad rush since the beginning of the year, and the weekends seem to fly by… but you can make summer last a little longer with a SunBreaks vacay! Rates start from only R1,115 per room per night including breakfast. You can enjoy affordable family fun by booking a minimum 3-night stay in Durban or Cape Town. Alternatively, soak up some sun in Gauteng with a weekend getaway, so grab your bestie or your kids, pick a place and go! Take advantage of these special rates over the school holiday period, valid from 15 – 31 March 2019, or take a break over the Easter long weekend, rates are valid from 18 April – 5 May 2019. Don’t forget, 2 kids under18 stay and eat breakfast free when sharing with two adults. Tsogo Hotel Rewards members qualify for further discounted rates. To qualify, sign-up to the Tsogo Hotel Rewards programme today. Rates and availability vary depending on where and when you want to stay.